1-14-16 | musings at random. Your poetry always takes me on a journey. 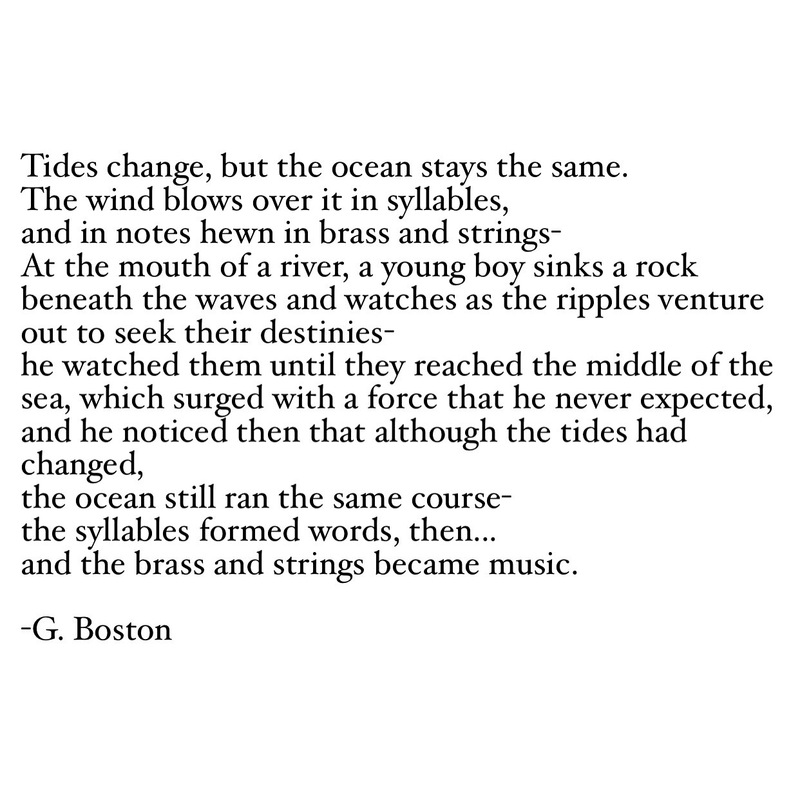 This thought-provoking poem reminded me of my nephew (Omari) throwing small rocks into the Maumee River. Every person has there own destiny just like those rocks. We may all start out in the same place but ultimately go in different directions. Some may not even know where they’ll wind up until they get there. Thank you so much, Kerry, for taking the time to read. Your support is greatly appreciated. I love your interpretation of this, and it’s so true that we each have our own individual destinies laying wait somewhere…we never know which tide life will send us floating off on, but the fun is in the imagination, like your nephew Omari, casting rocks and getting lost in the ripples and they mystery of what lay ahead.